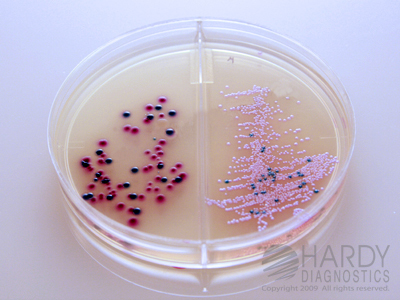 HardyCHROM™ Urine Biplate (HUrBi™) is a selective chromogenic medium recommended for the cultivation, differentiation and enumeration of urinary tract pathogens based on colony color and morphology. 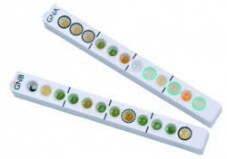 Different selective agents have been added to the each side of the biplate to select for growth of gram-positive organisms and yeast on one side and to select for growth of gram-negative organisms on the other side of the biplate. 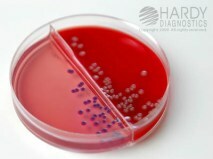 E. coli and Enterococcus can be identified by color only; no further testing is needed. Only a spot indole is needed for Proteus mirabilis. This biplate is also helpful in the identification of Staphylococcus saprophyticus, Candida, Klebsiella, Enterobacter, Citrobacter, etc.